Method to mass unsubscribe all channels from YouTube. If you have subscribed many junk channels and you want to remove them all at a time, then here is one easy way to do that. Without installing any extension or softwares. 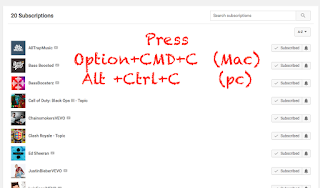 Press Option + Command + C (in Mac)or Alt + Ctrl + C (in Windows). now you will get one console tab. 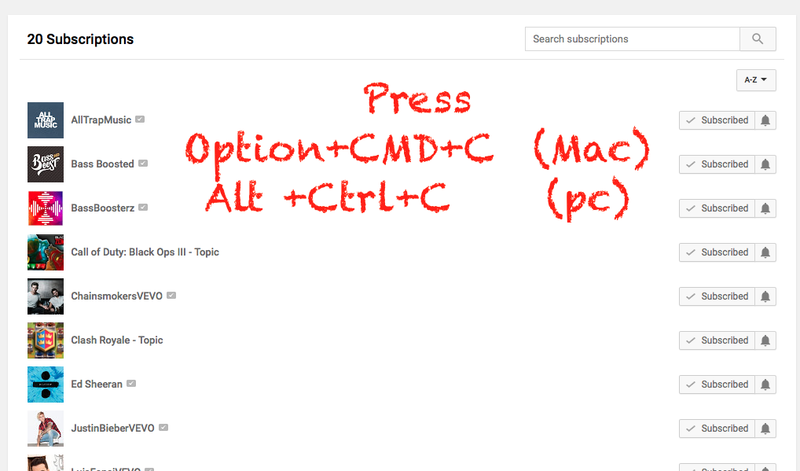 On console tab you can type any java script code, that code will be execute on the current web page. Now just past the given code on it. And that's it. 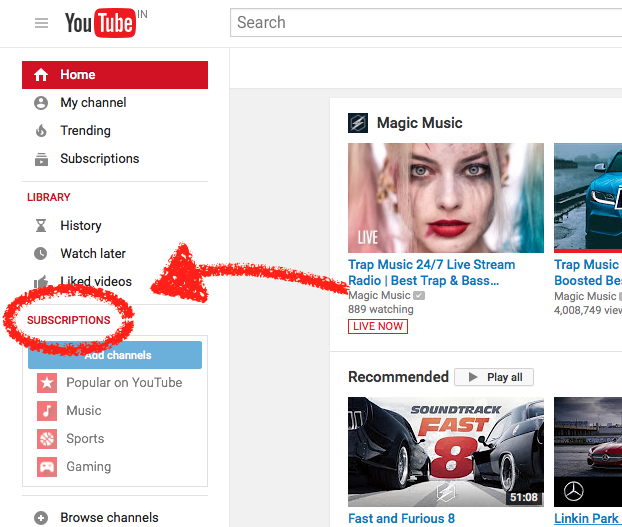 Enjoy your youtube with new subscriptions. Please leave some comments to improve our blog.